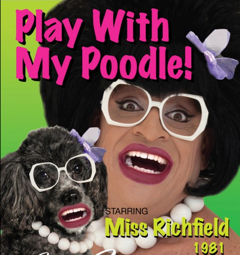 Provincetown sensation Miss Richfield 1981 headlines Pride Weekend at Purple Room Restaurant and Stage in Palm Springs with her new show Play With My Poodle for two performances only, Friday, November 7 and Saturday, November 8. Also performing Pride Weekend will be award-winning singer-songwriter Bobby Jo Valentine on Thursday, November 6 and Michael Holmes in his hysterical parody The Judy Show on Sunday, Nov 9. Miss Richfield 1981’s live performances have received critical acclaim, with The New York Post declaring the show “the must-see act in Provincetown.” A P-town icon, Miss Richfield 1981 has been performing there for the past 12 summers and fills the Paramount Theater at the Crown & Anchor nightly. Many have seen Miss Richfield 1981 in the TV ads for Orbitz online travel and on The Tonight Show with Jay Leno. Miss Richfield has also appeared on Today on NBC, Cake Boss on TLC, and Weekends With Samantha Brown on Travel Channel. She tours nationally and sells out shows in New York, Chicago, San Francisco, Philadelphia, Atlanta, South Florida and Minneapolis. She is also television spokesperson for the City of Philadelphia. Her new show, Play With My Poodle, is a truly original performance and leaves audiences in hysterics with its off-the-page humor, twisted sing-alongs and audience interaction. The Miss Richfield 1981 show starts at 7:00pm. 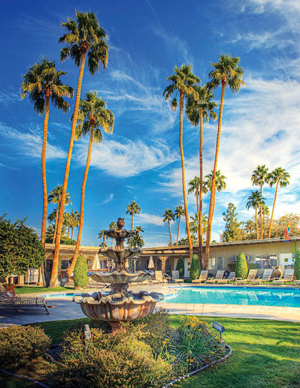 Tickets for the show are $25 and are available at www.purpleroompalmsprings.com or by calling 760.322.4422. Kicking off Pride Weekend at Purple Room on Thursday, November 6, will be singer and recently named “Songwriter of the Year” by the West Coast Songwriter’s Association Bobby Jo Valentine with his brand of hopeful folk/pop and infectious vocal melodies. San Francisco area-based Valentine’s music was featured in the television commercial for the 2013 Ford Fusion. A master lyricist, Valentine also received two West Coast Songwriters Association “Best Song” awards for his songs Somedays and Fly, both on his new album, A Place to Belong. Valentine’s other two albums are Home and By My Side. 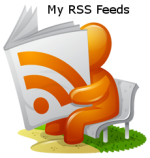 Alexa Spieler of A-List Music gives Valentine 5 out of 5 stars and writes, “If Jack Johnson, Jason Mraz and Regina Spektor combined forces, you would have Bobby Jo Valentine. Soulful and uplifting, soothing and calming, Valentine’s music is the perfect blend of indie and modern pop/rock. The Bobby Jo Valentine show starts at 7:30pm, Tickets for the show are $15 and are available at www.purpleroompalmsprings.com or by calling 760.322.4422. The fun Pride Weekend entertainment continues on Sunday, November 9 with Michael Holmes’ The Judy Show. The spirit of Judy Garland is alive and well in this blend of hysterical comedy and outstanding music that explodes into an evening of nonstop belly laughs, glamour and high camp. With a killer wardrobe and razor-sharp wit, Holmes plays and nails them all, singing your favorite songs and thrilling the audience with charm, zingers and stories. The Judy Show’s guests are always changing, so audiences never know who will surprise and delight them on stage on any given evening. Be on the lookout for Carol Channing, Mae West, Bette Davis, Katherine Hepburn, Pearl Bailey, Peggy Lee and Tallulah Bankhead. 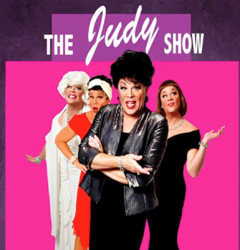 The Judy Show starts at 7:00 p.m. Tickets for the show are $20 and are available at www.purpleroompalmsprings.com or by calling 760.322.4422.